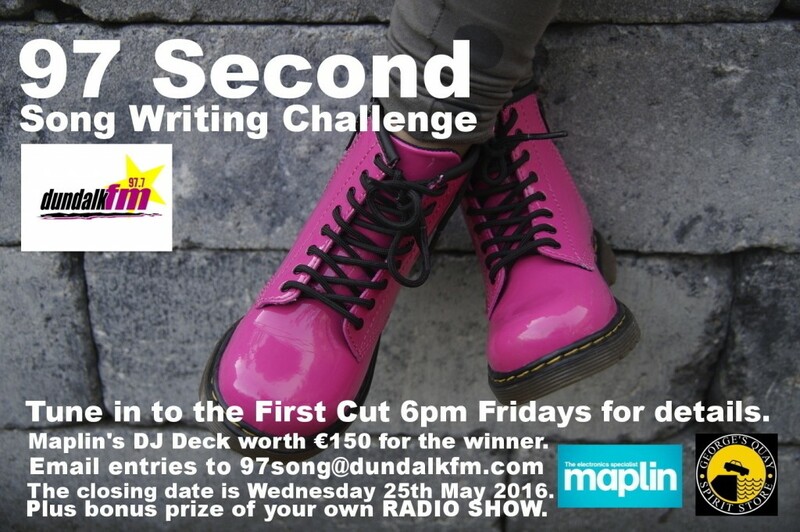 Dundalk FM’s frequency is the inspiration for the 97 second song competition, the Undertones got it right in 1979 when they sang ‘you’ve got my number, why don’t you use it’. The launch takes place downstairs in the Spirit Store, Dundalk on Tuesday 3rd May at 7 o’clock. We’ll have a few rock n rollers there to play some sample tunes and a chance to meet a few old and new friends. Maplins Dundalk have come on board to provide a DJ deck for the winner. Entries can be emailed to 97song@dundalkfm.com and the closing date is Wednesday 25th May. Dundalk FM have a vacancy for a part time Receptionist/Administrator. Experience of an accounts package and Social Media would be an advantage. Email your CV to centralce@gmail.com or telephone 932 83 16. This is a Community Employment vacancy and applicants should check their eligibility with the local employment office. The closing date is Wednesday 13th April.